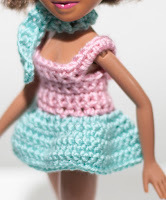 Lovely handmade crochet turquoise and pink dress for Bratz, Barbie, Blythe or Monster high dolls... Step by step pattern with photos. Great for beginners. All you need to know is - chain - single crochet stitch and foundation SC (link for short video tutorial including). 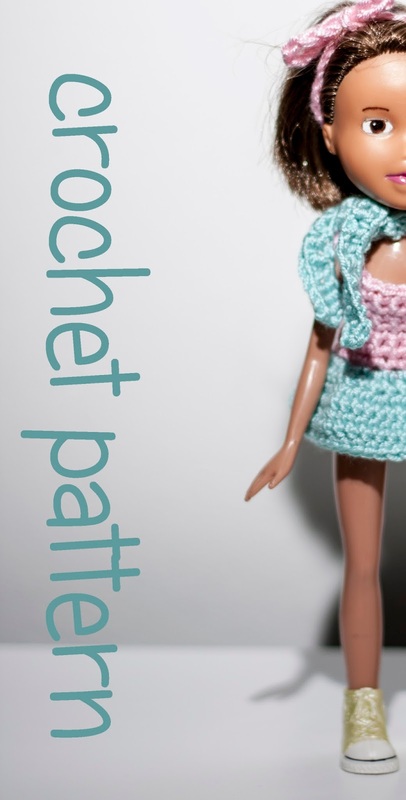 Find this great tutorial in our Etsy shop, or find more of patterns and kits HERE.